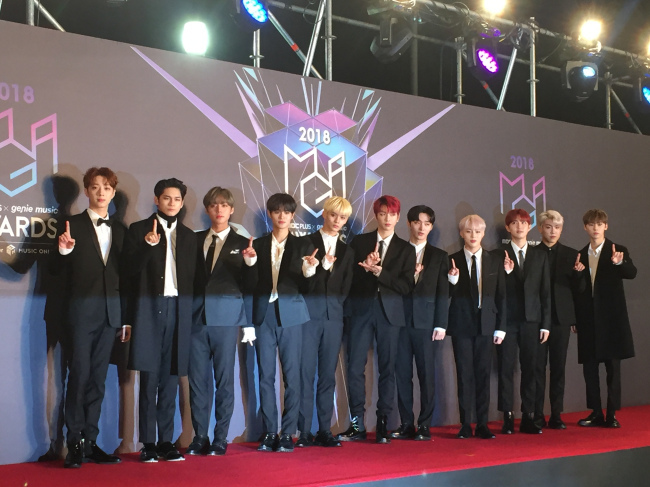 K-pop stars descended on the red carpet at the 2018 MGA on Tuesday night, a music awards show jointly held by MBC Plus and Genie Music at Incheon’s Namdong Gymnasium. 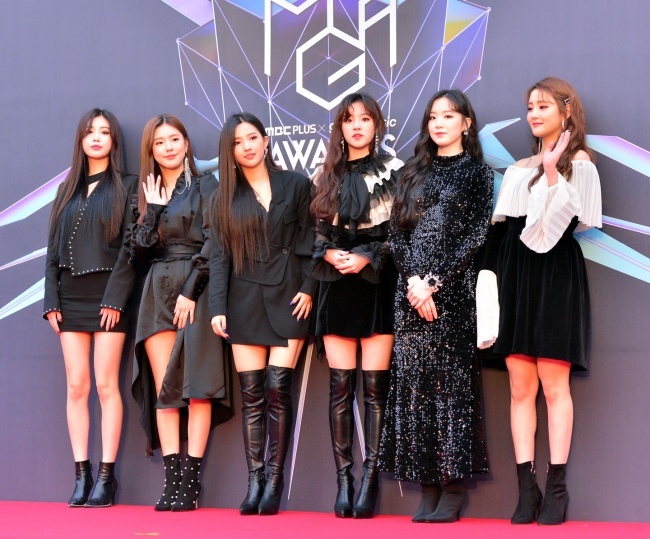 Members of the girl group (G)I-DLE cut chic figures in black outfits and matching boots. The six-piece group, consisting of Miyeon, Minnie, Soojin, Soyeon, Yuqi and Shuhua, was the first to arrive on the scene. The artists were greeted with enthusiasm by a cheering crowd, despite the gloomy weather in South Korea. The group is projected to be the most likely winner for best new female artist, but faces competition from Celeb Five, a group of female comedians. 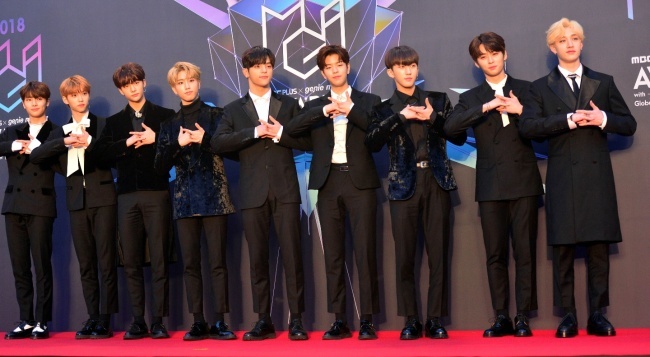 Stray Kids opted for the suit-and-tie look, with all the bandmates donning black outfits on the red carpet. 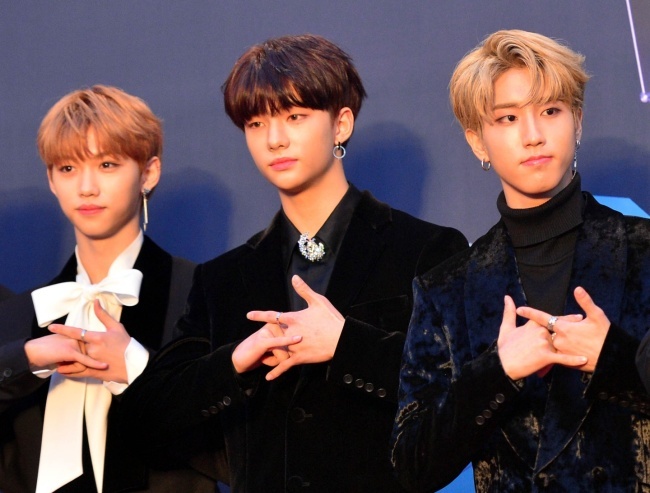 The members of the rookie group, which debuted in 2017, cracked smiles and made the peace sign as they posed for the cameras. The members of five-piece boy band Day6, nominees for the best band music award, cut stylish figures in darker outfits while embracing individuality through their choice of belts and ties. Wanna One, which opted for a more classic look, was also greeted by fans. The group received the most votes for the song of the year at this year’s MGA. The 11-piece band garnered over 1.64 million votes for “Beautiful,” closely followed by BTS’ “Fake Love” which drew almost 1.6 million votes. It wasn’t just singers on the red carpet either. “Meokbang” (eating show) YouTuber BAnzz surprised the crowd by making an appearance. So did model Moon Gabi, who showed up in a bright red dress coupled with a gold chain-style belt. 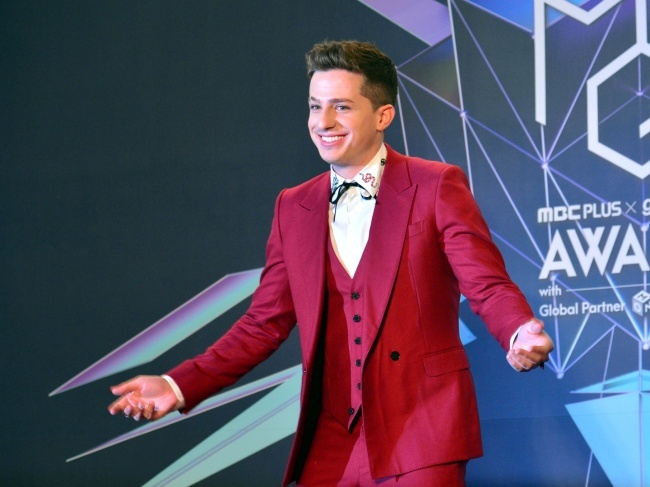 The run-up to the 2018 MGA awards brought great anticipation, ever since the announcement weeks ago that the show would feature a joint performance between BTS and Charlie Puth.